Cyclists in D.C. would be allowed to treat stop signs like yield signs when there is no nearby traffic under a traffic safety bill being considered by D.C. Council. The bill takes on a flash point between drivers and cyclists. Right now, the law says bikes must come to a full stop at a stop sign, just as other vehicles do. But anyone who has ridden a bike knows that stopping at every stop sign is tough, particularly when no other car or pedestrian traffic is in the area. This bill would require cyclists to slow down at stop signs and stop if needed. But it also would allow them to roll through if no vehicles or pedestrians are present. The cycling advocacy blog Washcycle calls this an "Idaho Stop," after a similar law in place in Idaho since 1982. 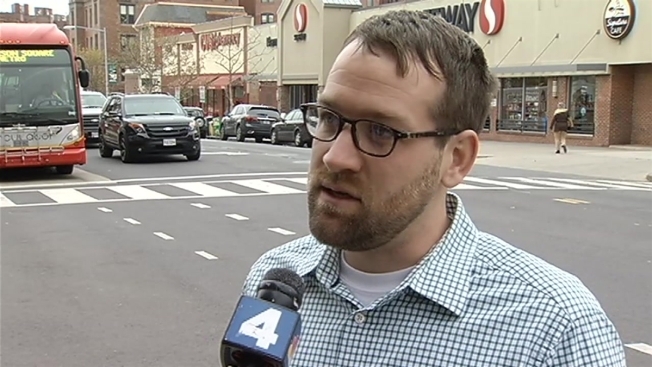 "This does not allow bicyclists to run stop signs; it does not allow them to nearly hit pedestrians," said Greg Billing of the Washington Area Bicyclists Association. "All of those behaviors would remain illegal. "When there is no other person present, either in a vehicle or on foot, it would allow a person to roll through a stop sign," Billing said. "Everywhere else the bicyclist would have to yield the right of way to whoever's there first." The changes are part of a hearing December 8 by council member Mary Cheh's transportation committee. The proposals also include tougher drunk driving fines, tougher distracted driving rules and higher penalties for repeat offenders. And there are many provisions to make sure that drivers, cyclists and pedestrians share the roadways, including zones that give priority to pedestrians or cyclists in each ward. Most of the proposals came from a city task force that included AAA, The Washington Area Bicycle Association, D.C. transit officials and others. Washcycle says the full package of bills would "put DC at the forefront of American cities with respect to pedestrian and cyclist safety." "We're an urban area," Cheh said. "We need to figure out how to get these modes of transportation operating safely at the same time." But some motorists think the change for stop signs is not a good one. "I'm a cyclist, too," said one motorist. "It's a terrible idea. Why? You put yourself in danger as much as other traffic users."